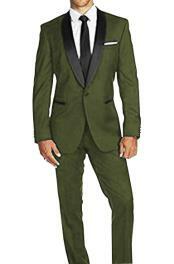 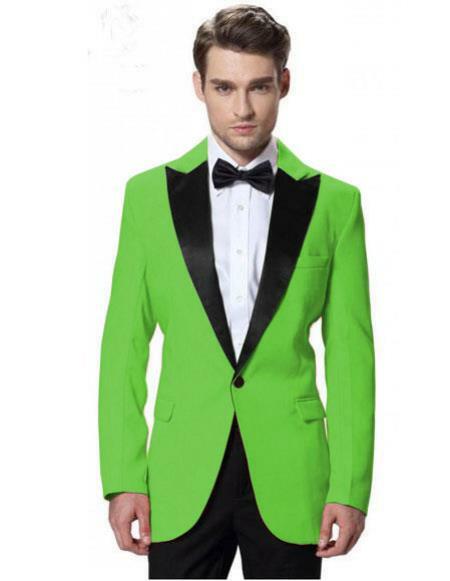 How do you find it to be in a green tuxedo for the upcoming theme party that your friend has arranged? 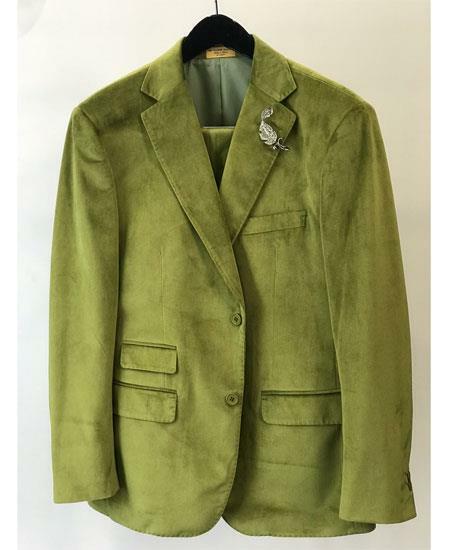 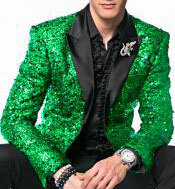 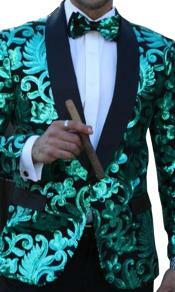 Or how would it be to fashion a green tuxedo for this Halloween and make it as a Halloween costume after combining it with a lot of gaudy accessories? 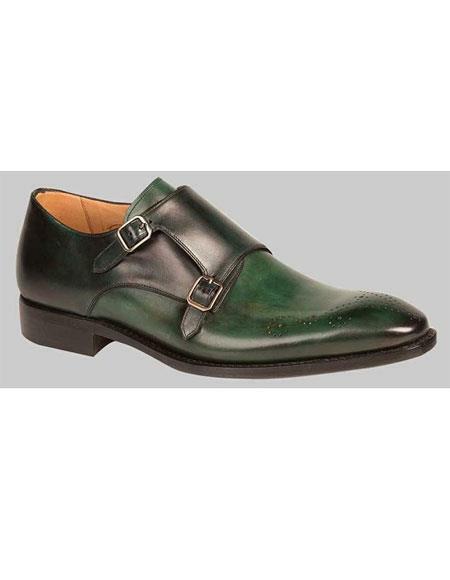 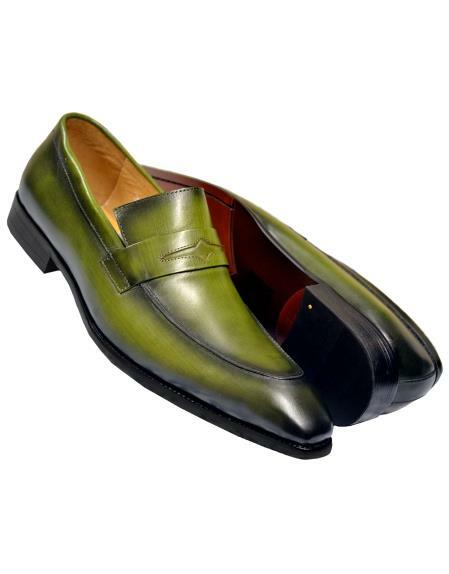 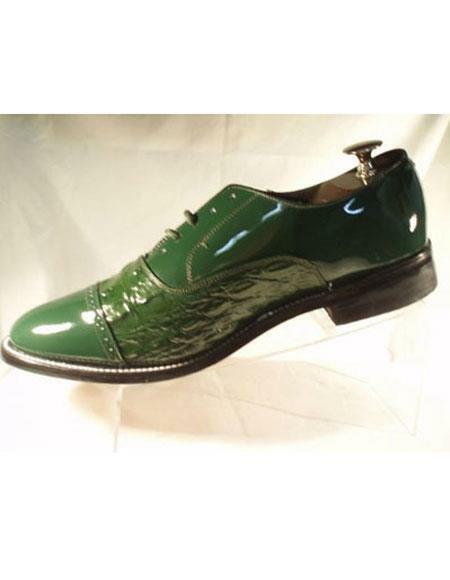 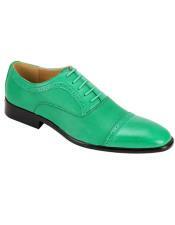 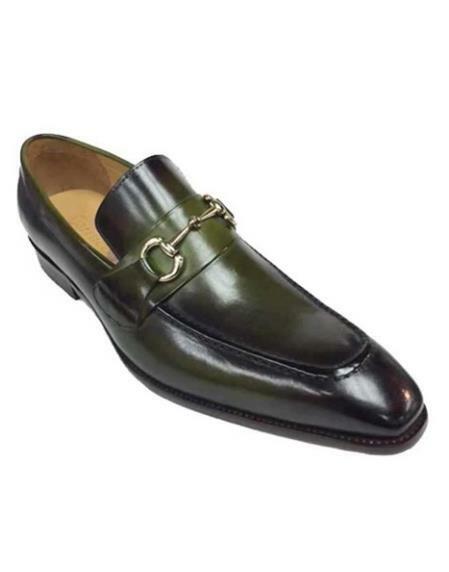 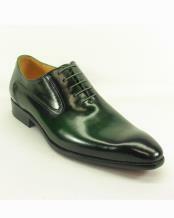 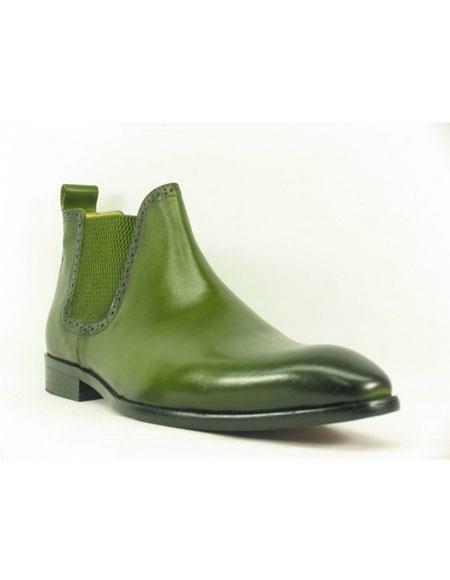 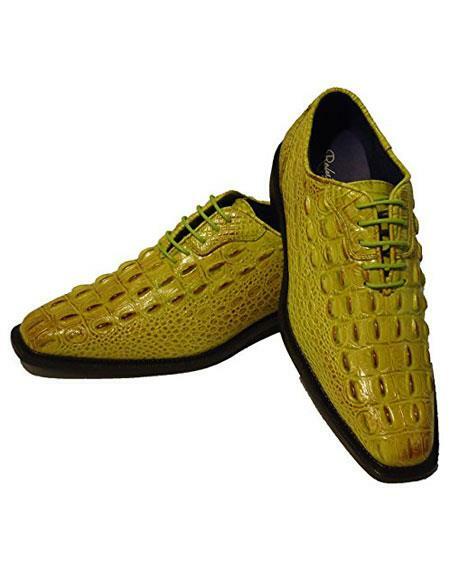 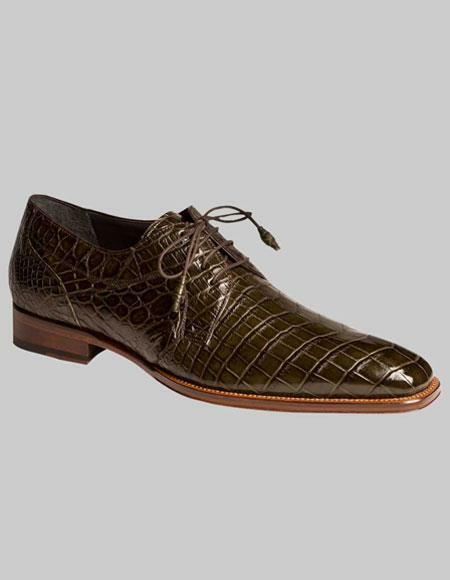 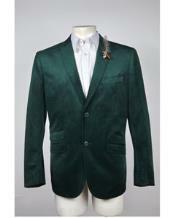 Green is a color of richness and we know that not everyone has the look and personality to carry this color with ease. 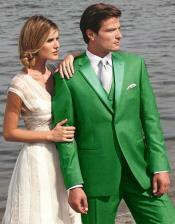 There are men who shun bright colors and green falls under the list. 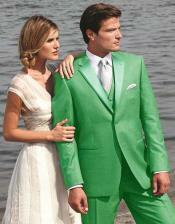 Unfortunately we don't find many men trying out this color. 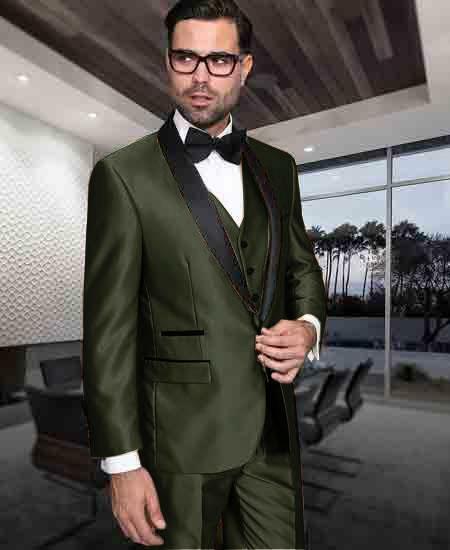 The fact behind choosing a color is to choose the right shades and you can find a shade that will suit you in all colors so, before you let go a color from your preference chart, it is good to see if you have any shade choices that will suit you and the style of the clothing. Coming back to green, though you can count green under bright colors list, we have an option to choose the shade that will go well with your selection of costume and your persona. 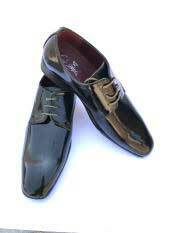 You cannot get successful without a lot of trial and errors. 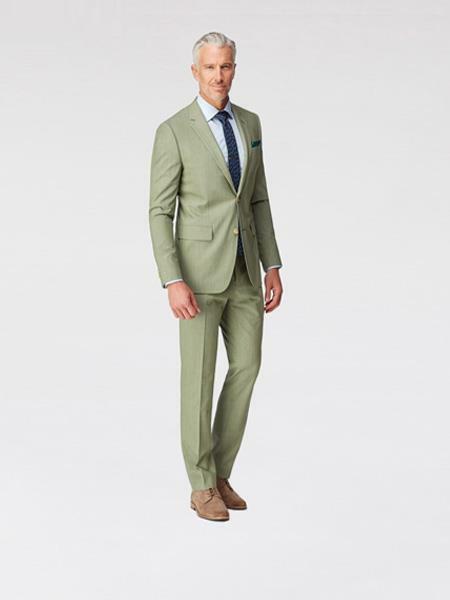 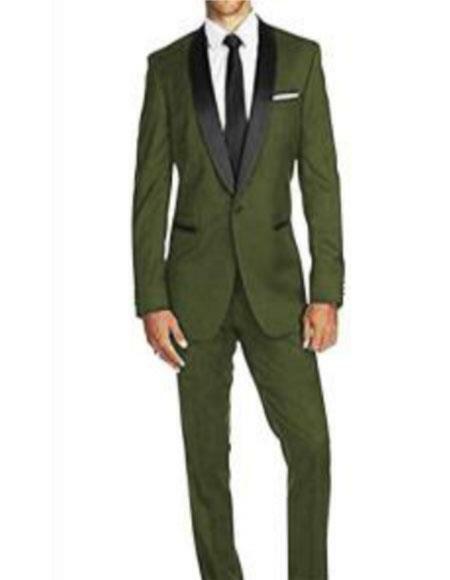 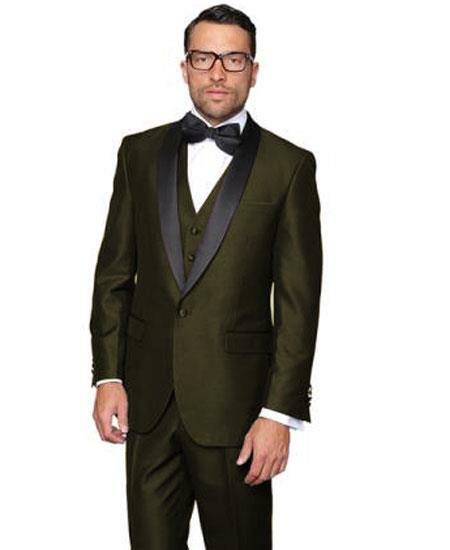 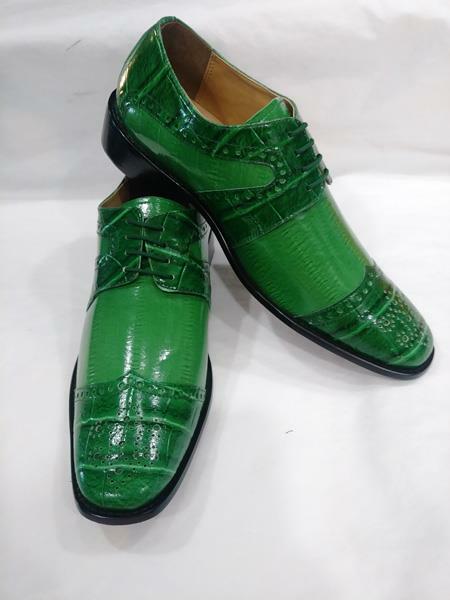 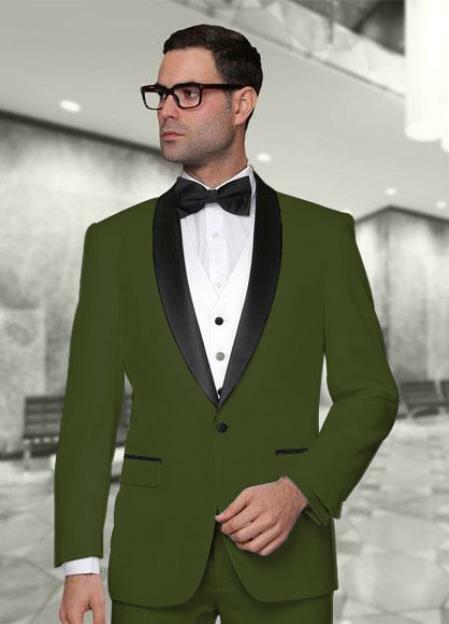 Be sure to go for a lot of trial sessions with our friends or alone to any suits and tuxedo shops to find any green tuxedo set so that you can try it out and see the outcome. 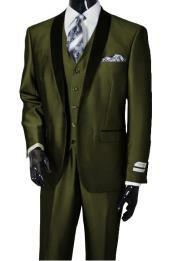 We are sure that you will discover something really interesting and it is no turn off to do trial dress ups. 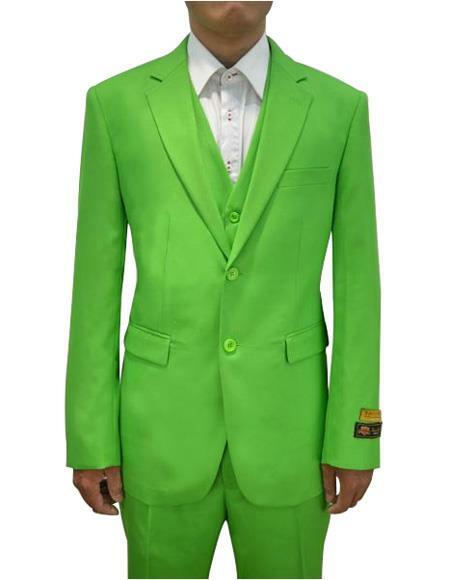 If you want to find your rights match, trying them out on yourself is the best way is to check it out. 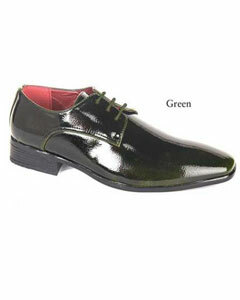 Have you decided what to buy? 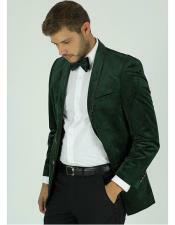 Then MensUSA is the place where you can find a good collection of fabrics and color choices that will stun you. 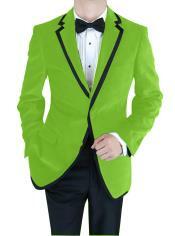 Whether you select min green tuxedo or lime green tuxedo choose wisely. 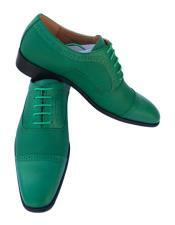 Both colors are extremely versatile. 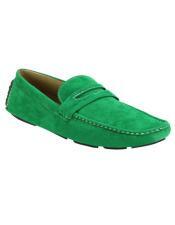 If you want to choose try out similar sizes. 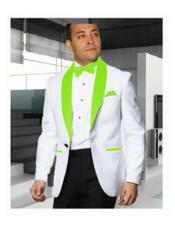 White and lime green tuxedos are excellent fits. 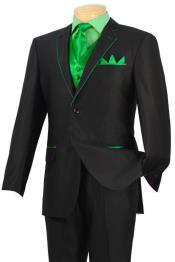 Stitch is these tuxedos are crafted by top experts to make you the best way possible. 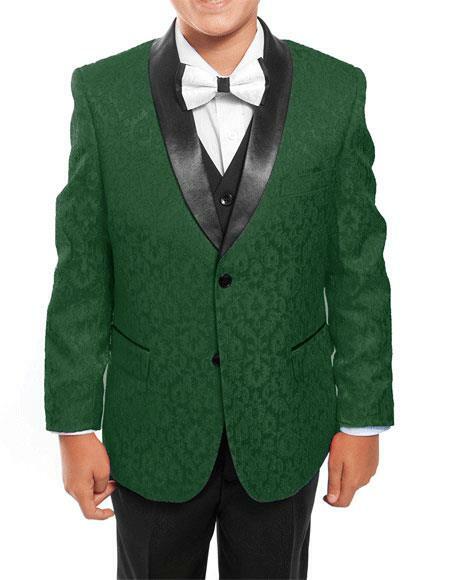 It is the right fit for your size. 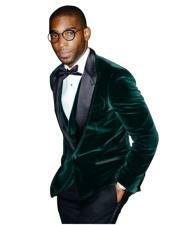 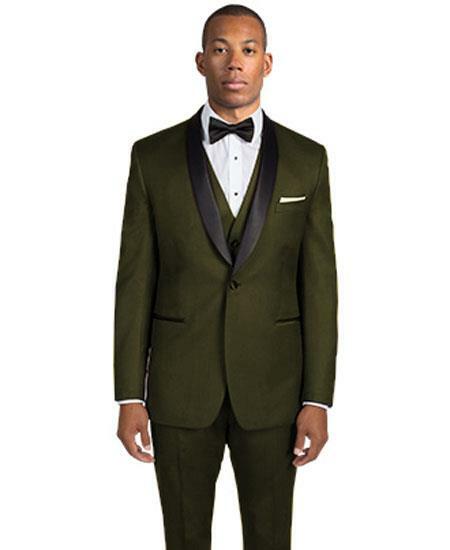 Olive green tuxedo jacket is crafted from the best fabrics. 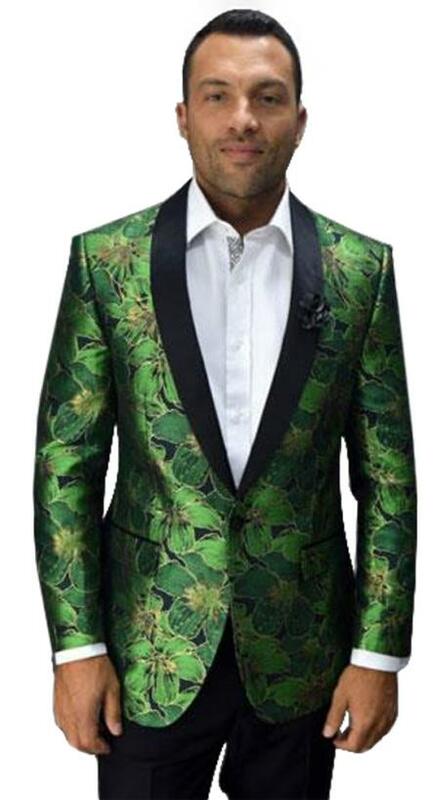 The choice of material will surely make you feel unreal. 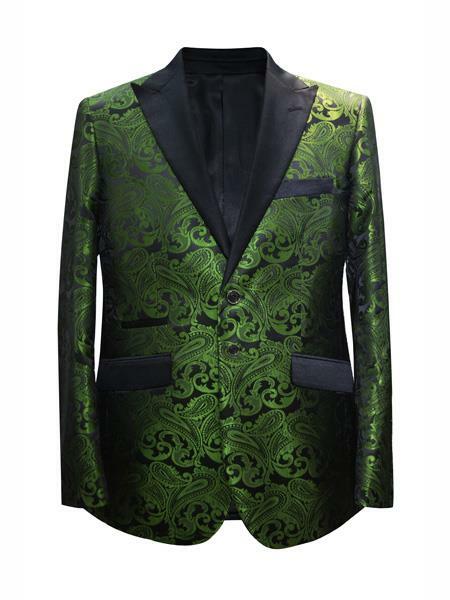 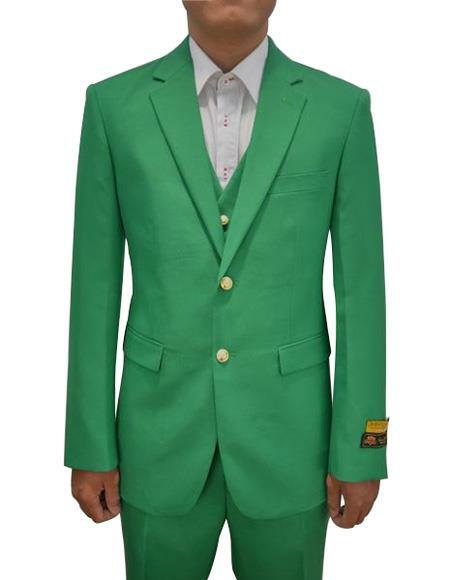 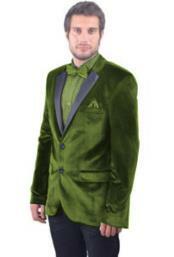 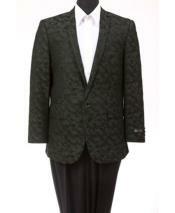 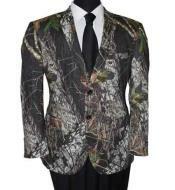 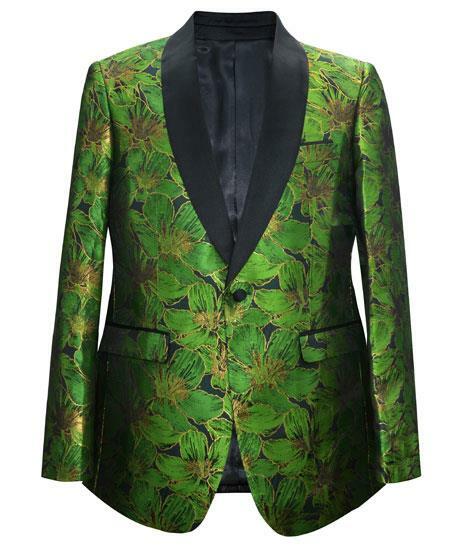 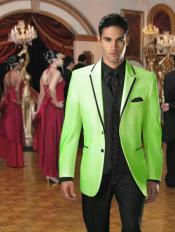 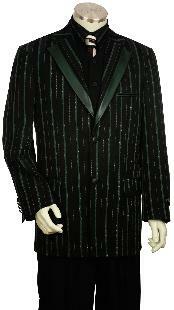 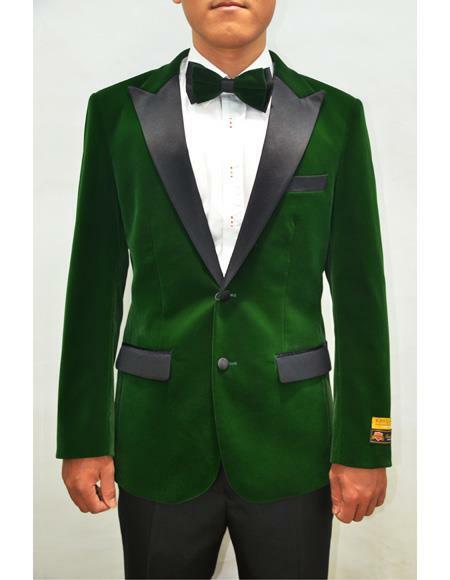 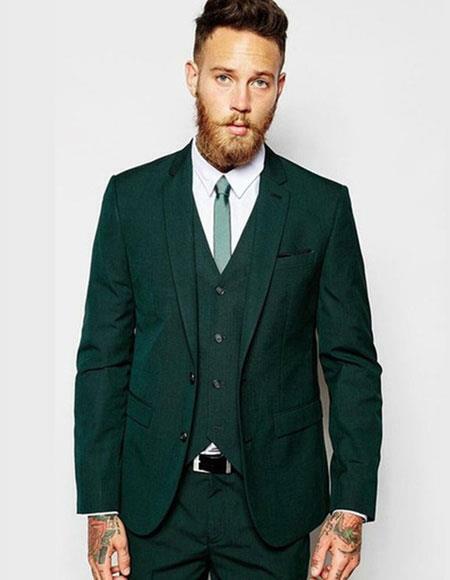 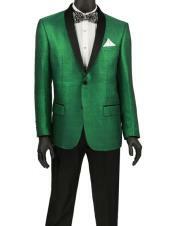 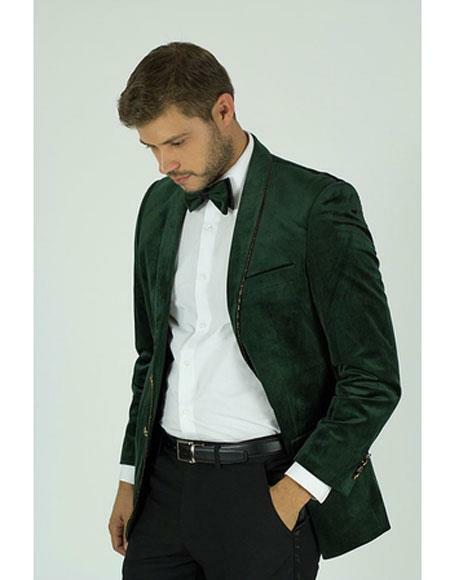 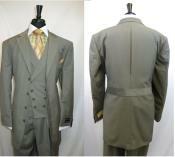 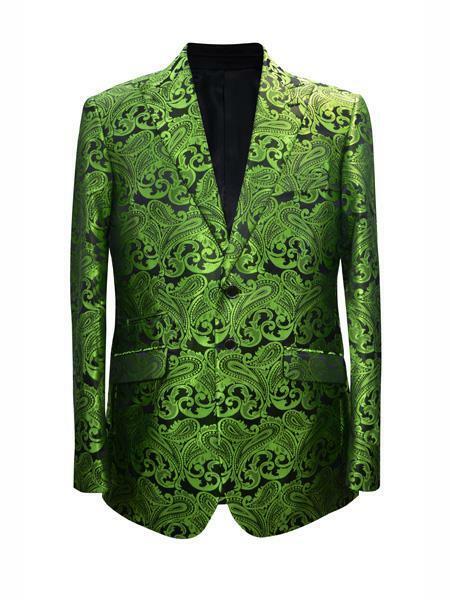 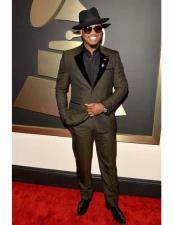 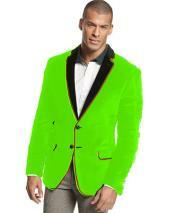 We select the best quality materials to put together top class green blazers and tuxedos.